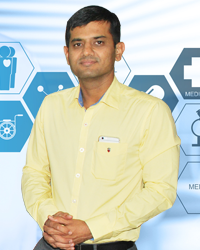 Best Eye Hospital in Ahmedabad, Eye Surgeon, Eye Specialist Doctor Ahmedabad, Akhbarnagar, Vadaj, Ashram Road, Usmanpura, Satellite, Ghatlodia, Gujarat. Palak eye clinic is one of the latest & Hi-tech eye clinic / Hospital in ahmedabad located at well known place Akhbarnagar circle on 132 ft. Ring road. It established in 2004 expanded in 2009 & also started one of the best Lasik centre near sardar patel stadium " Clear View Laser Centre " in 2008. We are a longstanding leader in Cataract. Because safety and effectiveness are so important to us, we have made significant investments in the cutting-edge technology we know you deserve. My work as a software engineer makes me stare at a computer screen for hours at an end. Wearing contact lenses added to my problems & soon I was experiencing tired & red itchy eyes. I didn't realize that Contact lenses can cause your eyes to have reduced oxygen especially if you live in a Hot Dry area like Ahmedabad. My Lasik took about 15 minutes & I could see the miracle unfold immediately. The next day when I was checked I could read the chart better than what I saw with my glasses just the previous day. It truly is a Wow Surgery. I have experienced the best in Eye Care Services at CVLC. I was contem-plating Lasik for about a year now and had enquired about the same. What I did was a little research and found CVLC's Lasik technology to be amongst the most advanced and accurate. I am happy to have the Lasik done and am now able to swim and do a whole lot of activities I otherwise couldn't with glasses. Palak eye clinic is one of the latest & Hi-tech eye clinic / Hospital in ahmedabad located at well known place Akhbarnagar circle on 132 ft. Ring road.